Welcome to the Allen Samuels Direct website, a fast and convenient way to research and find a used vehicle that is right for you. If you are looking for a used car, truck, or SUV you will find it here. We have helped many customers from Euless, Dallas, Grapevine, Arlington, Farmers Branch, Grand Prairie, Irving, Mansfield, North Richland Hills, Ft. Worth, Plano, Keller, Richardson, Carrollton, Haltom City, Garland, Burleson, Coppell, Flower Mound and Colleyville find the perfect used car. We know that prospective customers are extremely well educated when researching their next used vehicle. Allen Samuels Direct has made it easy to get all the available vehicle information so you can spend less time researching and more time enjoying your purchase. Check out our used specials for additional savings on your next vehicle. As a premier Texas dealer, we have a huge selection of used and certified vehicles from which to choose. 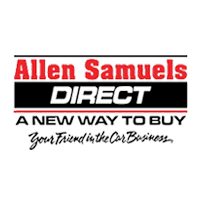 Allen Samuels Direct online and offline customers enjoy special vehicle offers every day. We offer an online inventory, and outstanding financing options, making Allen Samuels Direct the preferred dealer for Euless, Dallas, Grapevine, Arlington, Farmers Branch, Grand Prairie, Irving, Mansfield, North Richland Hills, Ft. Worth, Plano, Keller, Richardson, Carrollton, Haltom City, Garland, Burleson, Coppell, Flower Mound and Colleyville buyers. Ready to schedule a test drive? Visit our Dallas dealership in Euless, TX, or one of our many other locations today!